Google Chrome recently announced that starting in September, they are going to block flash from their browser. This is follow suite (albeit late) after Apple first announced it will no longer support flash years ago, and Android followed meaning the majority of your mobile browsers would not be able to view any website in flash at all. Adobe announced this past December that they will finally start killing off the Flash brand entirely, which means Flash is Officially Dead. 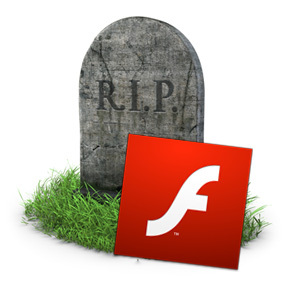 And if Flash is officially dead, that means it’s terrible for SEO. Companies are scrambling to get web design quotes to convert their websites so they don’t lose their rankings. If your site uses Flash, you need to upgrade. Now. This will certainly affect your search engine ranking on Google, and soon enough no browsers will support it meaning no one will be able to see your website. That kinda defeats the purpose, doesn’t it? There are a lot of solutions out there that can help you achieve the interactive elements that you are used to with Flash, HTML5 being just one popular example. If you’ve held out this long, you may be kicking yourself in the rear because waiting till last minute to scramble for an updated website may cost you more in the long run. One of the bigger utilized part of a Flash website was the integration of music. How many of you have browsed through a website or facebook only to get blasted with music or a commercial that you didn’t want to hear or see? That’s the type of experience YOUR clients or potential leads will experience if you continue to force music upon them. It was cute in the early 2000’s, it’s not anymore. Some websites try to get around this by including a YouTube video that auto-plays when loaded, but this is pretty much the same type of annoyance as music was over the last 5 years. We understand the marketing flair, but if you can’t sell your services without big flashy annoyances, then you aren’t doing a very good job at selling yourself. 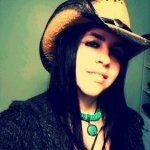 Need to get Web Design Quotes to convert your site out of Flash? No problem. We have a dedicated team here that wants to see businesses succeed. The more you succeed, the more you’ll recommend us to your colleagues, family and friends. “Help us, Help you”, and let us convert your site out of Flash so you can stay at the top of your game.